When looking for a dentist you trust with your family’s dental health, the last thing you want is to be told where to go. 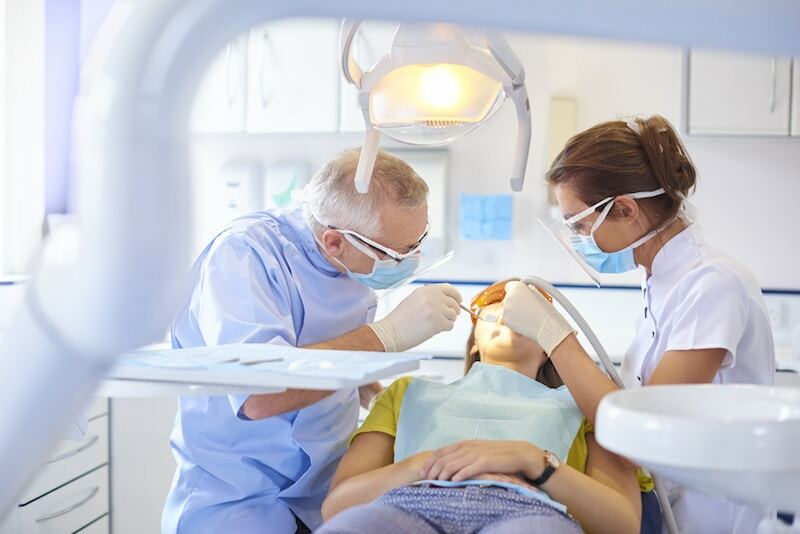 Doing your research to find a professional and experienced dentist should be your number one priority – someone who makes your family feel comfortable and safe and offers modern treatments for the most long-lasting results. If you’re covered by Australian Unity, it can be tempting during this process to settle with anyone who is listed by this insurance provider. But while it might appear cheaper, dental care is not something you should cut corners on. The best value for money comes from finding the right family dentist with a reputation for excellence and expert care. Dr Anna and Dr Stefan Danylak have over 30 years of dentistry experience, and prides himself on taking your life and wellbeing into consideration – not just the name of your insurance provider. Cosmetic Dentistry: Our modern clinic is equipped with state-of-the-art tools and technology to bring the natural beauty back to your smile. General Dentistry: We are the perfect family dentist for general checkups, minor procedures, emergencies and more. dhealth is your local dental specialist, and there’s nothing our experts can’t handle. Orthodontics: When misaligned jaws, crowded mouths or abnormal bits become a problem, our dental team can help. We can provide a unique treatment plan that will correct the issue, prevent further damage and get your smile looking it’s best again. Gum Disease Treatment: A range of gum diseases can cause severe pain if not attended to. We identify the source of the issue and offer advanced laser dentistry and gum treatments to heal your mouth and prevent periodontitis. Your health comes first: dhealth has no affiliates or links to third parties and bodies, so we can offer you unbiased, clear and informative guidance with your dental health. Have full confidence that we always have your best interests at heart. Family friendly: Our safe, comfortable and modern clinic facilities make dental visits a stress-free experience for adults and children alike. The dhealth team offers the kind of support and service that makes you instantly relax, from your very first visit. Easy clinic location: Part of better oral health is visiting your dentist regularly – that’s why our clinic is in a convenient location, close to public transport, shopping and parking facilities. We make dental checkups a breeze. No excuses! Quality care for less: Superior dental care doesn’t have to cost you an arm or leg. dhealth takes your finances as well as your situation into consideration to tailor a treatment plan that brings a genuine smile to your face.